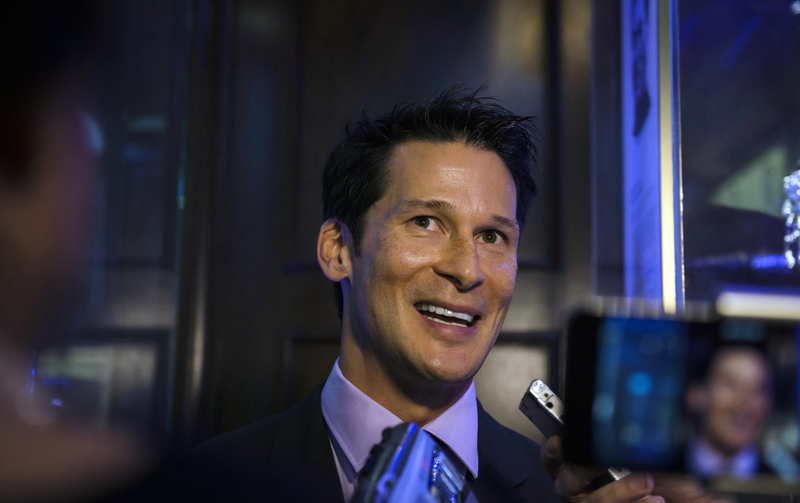 Paul Kariya defied the odds en route to a Hall of Fame hockey career. He was never one of the biggest or most muscular players. He was, however, always one of the best players. 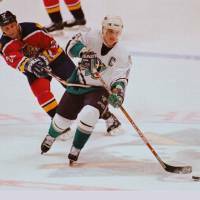 Kariya’s speed and on-ice smarts were a terrific combination in an NHL career that began in 1994 with the Mighty Ducks of Anaheim. He remained with Anaheim until 2003, then suited up for the Colorado Avalanche and Nashville Predators before playing his final game with the St. Louis Blues in 2010, then officially retiring in June 2011. But not before the left wing cemented his place among the game’s greats. It’s fitting that a 43-year-old Vancouver, British Columbia, native named Paul Tetsuhiko Kariya averaged exactly a point per game during his distinguished NHL career. The 178-cm Kariya played in 989 regular-season games and finished with 989 points. The left-handed-shooting legend racked up a career-high 108 points, including a career-best 50 goals in the 1995-96 season for the Mighty Ducks (now known by a less Disney-esque name, the Anaheim Ducks), trailing only Eric Lindros, Peter Forsberg, Ron Francis, Joe Sakic, Jaromir Jagr and scoring king Mario Lemieux. He topped the century mark in points again in the 1998-99 season, amassing 39 goals and 62 assists, and was one of only three players to do so, joining teammate Teemu Selanne and the ageless Jagr. He helped guide the Mighty Ducks to the Stanley Cup final in 2003, a seven-game series against the New Jersey Devils. A remarkably gifted offensive player, Kariya was one of the game’s elite scorers and playmakers during an era of decreased scoring. And as the 1990s gave way to the next century, the neutral zone trap was a defensive tactic increasingly used by successful teams such as the Devils and mimicked by numerous others around the NHL. In an exclusive interview, Kariya, a former captain of the Ducks and Blues, reflected on his career, his family, his love of the great outdoors and his Japanese heritage, among other topics. 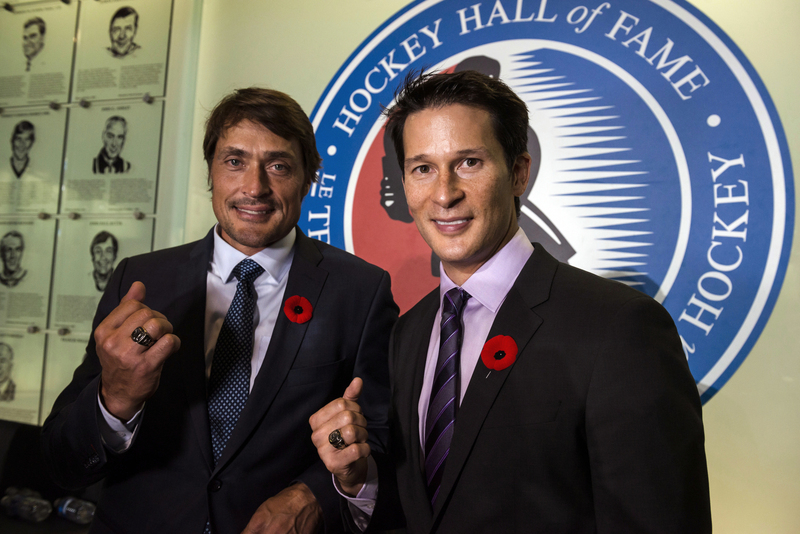 First, he expressed his thoughts on what becoming a 2017 Hockey Hall of Fame inductee, who was presented his Hall of Fame plaque by former Ducks teammate Scott Niedermayer, means to him. Even before he was selected as the fourth overall pick in the 1993 NHL Entry Draft, Kariya had distinguished himself as a top-notch player at the amateur and collegiate levels. He starred for two seasons (1990-91, 1991-92) for the Penticton Panthers in the British Columbia Junior Hockey League, amassing 112 points in 54 games, followed by 132 in 40 contests. In 1991, he also made a big impact for Canada’s silver-winning team at the Phoenix Cup, the Under-18 Junior World Cup, which was held in Yokohama and Sapporo. Kariya had a tournament-best 10 goals. At the University of Maine, he captured the Hobey Baker Award, unprecedented for a freshman, in leading the Black Bears to a national title in 1993. He had 25 goals and 75 assists in 39 games for a team that went 42-1-2 and beat Lake Superior State in the final, winning 5-4. Kariya notched three assists in the third period as Maine mounted an improbable comeback from a 4-2 deficit. Kariya returned to UM for his sophomore season, one that was abbreviated as he suited up for Canada at the 1994 Lillehammer Winter Olympics, a tourney that led to a silver for his team. What was Kariya’s biggest thrill as a player? 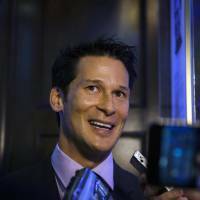 On and off the ice, Kariya was one of the most likable players of his era. Appropriately, he earned the Lady Byng Memorial Trophy, awarded to the NHL’s most sportsmanlike player, in the 1995-96 and 1996-97 seasons. He never accumulated more than 50 penalty minutes during his 15 NHL seasons, and ended his career, which was cut short by concussions, with only 399 PIMs. Kariya credits his parents for shaping his persona and outlook on life. 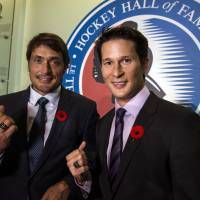 In a close-knit family, Kariya’s younger brothers Steven and Martin, now retired, both played professionally as right wingers. His young sister, Noriko, has fought in the professional ranks as a lightweight boxer. Paul, Steven and Martin all earned scholarships to Maine as ice hockey players and Noriko received a scholarship for the university’s women’s field hockey squad. “Our family is extremely competitive in everything we do,” Paul told me. “Even today, when everyone is retired, we still compete like it is Game 7 of the Stanley Cup final even if all we are playing is poker, backgammon or Monopoly. Nowadays, Kariya is actively involved in sports on a year-round basis. And he’s not confined to the rink. “Today, I enjoy many different pursuits,” noted Kariya, who resides in Southern California. “I love surfing year round and I enjoy all the different types of surfing. Short board, longboard, SUP (standup paddleboard) surfing and hydrofoil surfing. During the winter months, I’ve enjoyed getting back into skiing. Since I’ve retired, I have learned how to snowboard and splitboard. “One of the highlights every year is going backcountry snowboarding in Revelstoke, British Columbia, with fellow Hall of Famer Scott Niedermayer. Actually, both Scott and I now exclusively ride Gentemstick Snowboards from Niseko, Hokkaido. We are both so impressed by the Japanese craftsmanship, performance and incredible float in powder the Gentemstick boards provide. I asked Kariya what words and phrases best describe how he played the game during his prime. He provided a thoughtful (and accurate) assessment. “I always thought of myself as an unselfish player who used my speed and creativity to create scoring opportunities for my team,” Kariya said.